Banking on the skills of our professionals, our company is engaged in presenting standard quality array of Gas Cutting Machine. Our Gas Cutting Machine is made up of high quality raw material. Our product range is known for its sturdy construction and hassle free performance. It is used for cutting various metals. 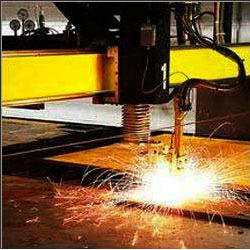 Leveraging on our technologically advanced infrastructural facility, we are offering CNC Gas Cutting Machine. The offered cutting machine is appreciated in the market for its reliability quality. Offered cutting machine is manufactured in conformity with quality standards by using optimal quality material and leading technology. We offer this cutting machine in several specifications to choose from. 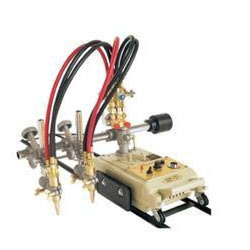 Looking for Gas Cutting Machine ?